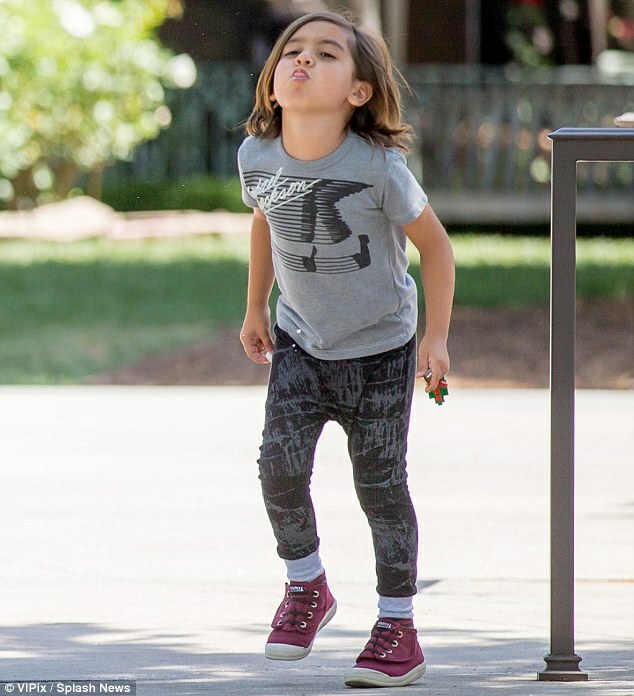 MASON DISICK MICHAEL'S SON BLANKET JACKSON WEARS MICHAEL JACKSON hemd, shirt. . Wallpaper and background images in the Michael Jackson club tagged: photo. This Michael Jackson fan art might contain hosenbein and pantleg.